← I don’t understand why I’m not doing Fine Art!? Over the Christmas holidays I have been designing for a few competitions and awards. One in particular is the D&AD Student Awards and one brief that I am working on is to design a new bottle and packaging for L’artisan Parfumeur for a range of fragrances that express emotions. This is a small ‘mood board’ of a particular idea I had in mind where the bottle is made out of the same material of mood rings so when people grab the bottles, it can change colour and help determine the mood/emotion of the person. I like the idea of making the packaging like the original 60’s packaging for when the mood rings first came out…so watch this space…further designs and development will be coming up!! 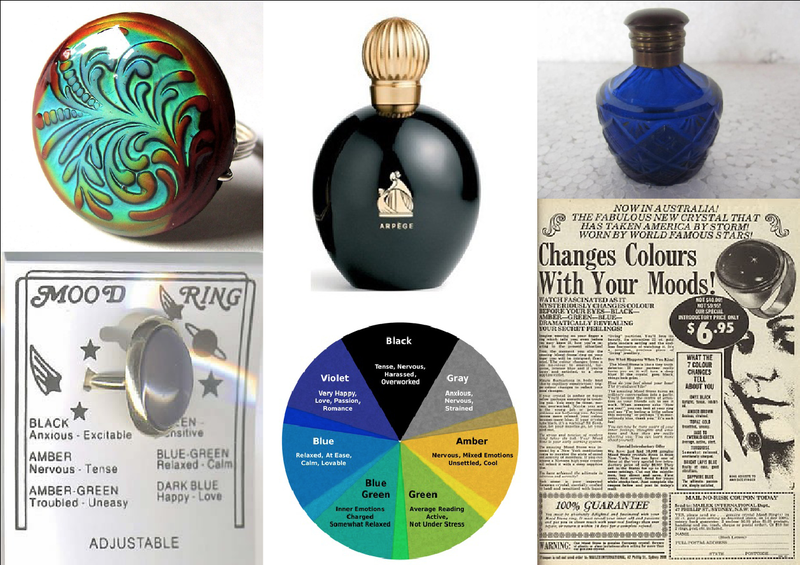 I love the idea for a mood-ring-type bottle!